Rear Admiral John Gower, CB OBE, served, until his retirement in December 2014, as Assistant Chief of Defence Staff (Nuclear & Chemical, Biological) in the UK Ministry of Defence (MoD). Previously, he had spent nearly half his 36-year military career at sea, culminating in the sequential command of two globally deployed submarines. He spent 17 years ashore in the MoD increasingly specialising in UK nuclear weapon and counter-CBRN policy and led the MoDUK contribution to the international activity between 2011 & 2014 to counter the threat of Syria’s CW culminating in their successful removal and destruction. With very close ties to his US and French counterparts, he represented the UK in senior relevant NATO committees. While committed to the currently necessary existence of strategic nuclear deterrence, he advocates broadly for continued actions from the nuclear weapons states to reduce their reliance on these weapons for their broader national security and to seek pragmatic yet innovative ways to make progress on all fronts in pursuit of their obligations under the NPT. To those ends he has been a speaker at several USSTRATCOM Deterrence Symposia, the 2015 Carnegie Endowment Nuclear Policy Conference in Washington DC, at the NATO Defence College in Rome, IFRI in Paris and the Royal United Services Institute and the International Institute for Strategic Studies in London. 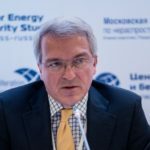 He recently contributed as a speaker at the Moscow Nonproliferation Conference in October 2017 (MNC 2017). He has also spoken on nuclear cruise missiles at the United Nations on the invitation of the Swedish and Swiss governments. He writes on these specialist issues and participates in strategic dialogues wherever he feels he can add value and is a Consulting Member of the IISS. He was invited in April 2018 to become a member of the Global Zero Nuclear Crisis Group. RAdm Gower is also involved in transatlantic efforts to reduce the risks of nuclear conflict through the Nuclear Cruise Control initiative to constrain, remove and ultimately ban nuclear armed cruise missiles. 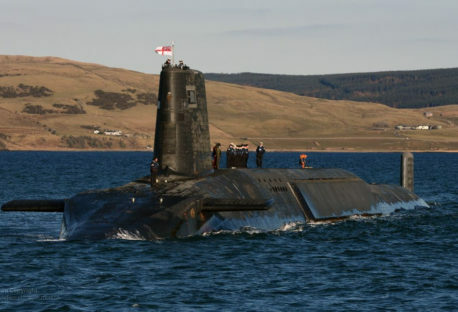 John Gower argues that in an era of strategic uncertainty the UK Parliament must act and approve the main investment decision necessary to renew the UK’s nuclear deterrent. Numerous reviews support its validity and it remains a significant pillar of the western security system.